The new school year will be here before you know it! 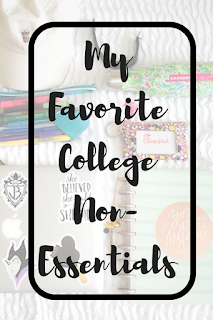 I'm sure you've read all the college packing lists, college essentials posts, and what to bring to college posts but I'm here today to tell you the not so essential, non-necessities that you absolutely need for college (but could also easily live without). 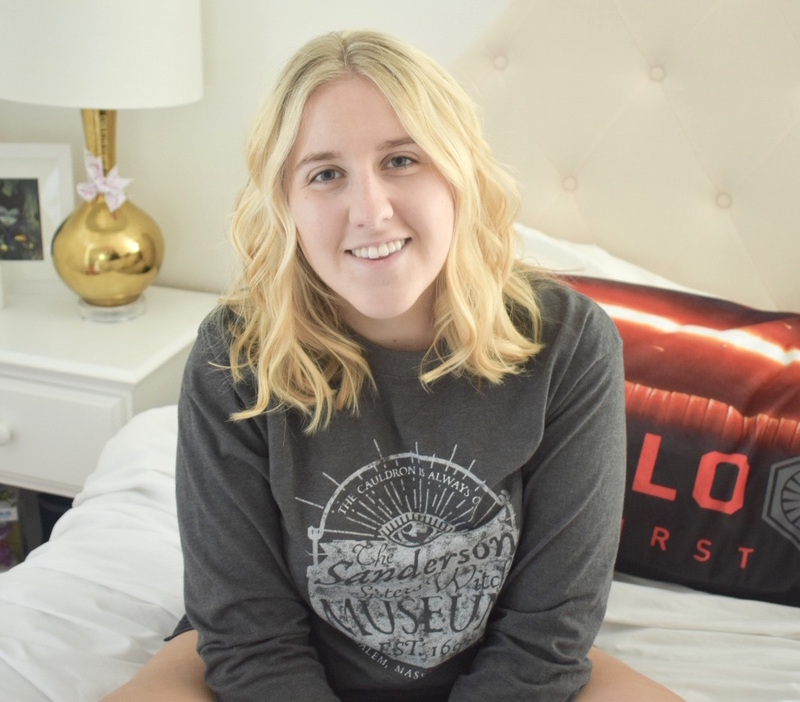 Of course you need XXL twin sheets and clothing for every possible occasion but there are also so many college accessories that are never mentioned and you have no idea how much you need them in your life. 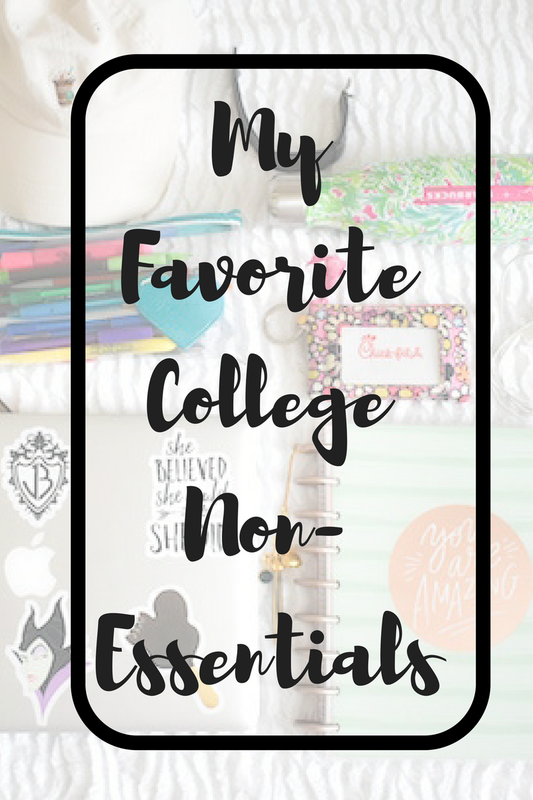 So here are my favorite college accessories that, by the end of college, I don't know how I could have ever lived without them. Laptop stickers are so not essential and you probably think they're a waste of your time when you have so many more important things to worry about. Let me tell you right now - spend 20 minutes (probably more like 2 hours when you start looking through all the cool stickers) and $5 and personalize your laptop. You have no idea how much joy these little laptop stickers will bring into your life, how many conversations they'll start with other students on campus, and how much they will add to your library Instagram photos. There are plenty of places to find cool laptop stickers but Red Bubble is my favorite because of the quality, low prices, and incredible variety. This isn't sponsored at all, I whole-heartedly recommend this website from personal experience. This might sound super nerdy and like a Kindergartener, but I always used a pencil pouch during school, even in college. I don't see how people live without a pencil pouch. I have to have a place for my pencil, backup pencil, backup backup pencil, all colored pens, highlighters, sticky notes, etc. If you don't already have a fully stocked pencil pouch ready to go, BRING ONE. I know a lot of typical pencil pouches look lame but you can use a cute small bag, like a makeup bag, and you'll look chic and prepared. It will make your life so much easier. You can read this post to see what I always keep in my pencil pouch. If you're reading this, there's probably a planner within a five-foot radius of you but on the off chance that there isn't, go get one. Don't attempt to go through a college semester without using a planner. I truly feel that this is an essential item but I maybe encountered two people all throughout college who also used a planner so apparently most people don't find it necessary. I strongly recommend a medium to large sized planner that has plenty of room for writing on each day. Your professors aren't going to remind you about due dates and exams so you have to stay on top of everything with a planner. I liked to take a water bottle to class everyday and it's so much more practical to take a reusable one. This might just be me but I liked to have water for emergencies, like if I started coughing in class or something. Life was easier having a designated water bottle that I just filled up everyday on my way to school. Make sure it doesn't leak and fits into your bag easily, on the side pocket of your backpack or tucked into your tote. My go-to for almost all of college was a water bottle we got for free as a prize on the Disney cruise, but it started to leak in my third year because it had a flip top. I switched over to a Swell bottle which has a secure screw-on lid and it worked great. Most people don't think about needing a watch with cellphones today, but in college, there will be a lot of situations where you can't look at your phone or laptop for long periods of time. Yes, there are still professors who don't allow electronics during lectures. It's so nice to be able to see what time it is during these classes and a Fitbit or watch is typically the only way. I'm not a big watch-wearer so my Fitbit came in handy. It's a great alternative to wearing a watch and has a lot more features that can be really beneficial for a college student, including a silent alarm. Be aware that Fitbits may not be allowed in testing centers or exam periods. You'll need your student ID handy for so many different situations, an ID case is a great way to carry it for easy access. I keep my license, ID, and other important cards in my zip ID case so that I can always have it with me and it's easy on the go. I started out college carrying a wristlet but it was a hassle and unnecessarily big. It's easy to grab your zip ID case with all of your important cards on your way out to any place and you can put it in a pocket inside of your bag so you always know where it is. Y'all these things are $12 on the Vera Bradley website and $8.40 for some patterns on sale. It'll last all four years and save you a lot of trouble. I never ever took headphones to college until my senior year. They're truly not essential. Unless you have a two hour break between classes, then they're a lifesaver. Don't even get expensive headphones, just bring the free ones that come with an iPhone because they're the easiest to store in your bag and pretty conspicuous too. I watched Netflix almost every day of the semester during that two hour break on a bench in the hallway. Trust me on this one. Freshman year, you might have the energy and enthusiasm to put effort into doing your hair everyday but as time goes on, the baseball hat is super useful for bad hair days. Just pull your hair up and go. Honestly, I was nervous about trying this at first but so many girls in college are in on this trend - no one will question it. This is another thing to be careful about during exams though, avoid wearing them to the testing center or when you're being tested in class. 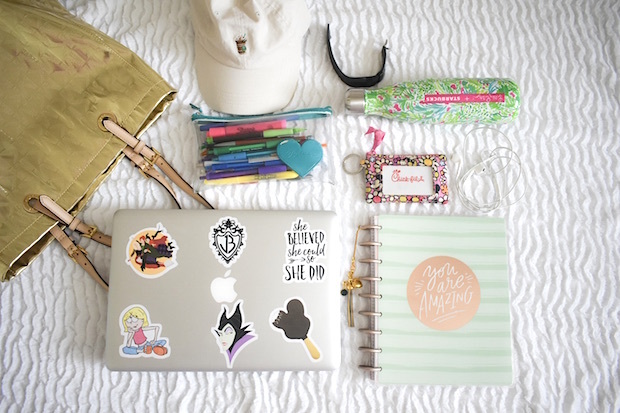 What are your favorite non-essential accessories for college?